Joy Oluwagbemileke Jegede has bagged a First Class in Law at age 18, from Fourah Bay College, University of Sierra Leone. 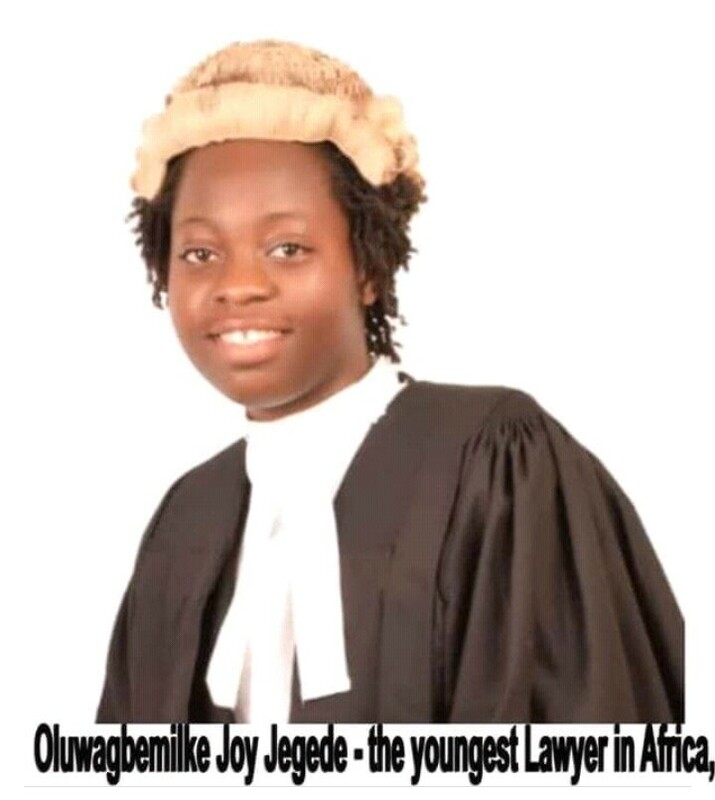 The 20 year old genius is the youngest lawyer in the history of Africa and second youngest in the whole world (from available records). She also has another degree in Business Administration at age 17 (with first division) from Amity online university, India. She is a Nigerian girl born to Pastor Olusola Jegede, a Chartered accountant from Oye Ekiti and her mother Mrs Olubunmi Jegede, a 1991 Biology graduate from the University of Lagos both are currently based in Freetown, Sierra Leone. Her grandfather is Pa Ayo Oluyemi, the 83 year old Insurance Agent and Oldest member of the Association of friends ASSO in Maryland Lagos. Joy has now resumed at the London School of Economics for her postgraduate in Public Administration with specialisation in Policy Development).